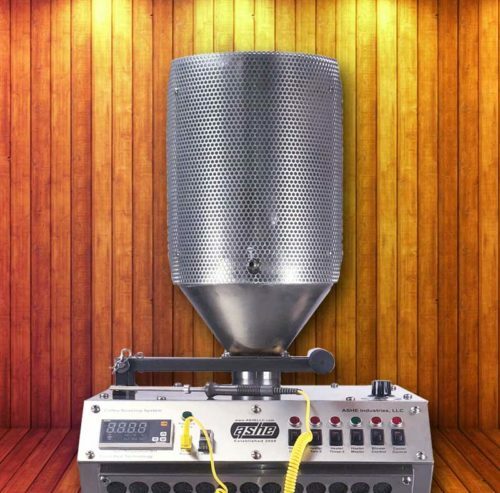 Designed for users who have an indoor roasting operation, the ASHE Chaff Collection system comprises a swing/swivel chaff collection hood, a cyclone chaff separator/collector and a blower/fan to draw air through the system and out to exhaust. 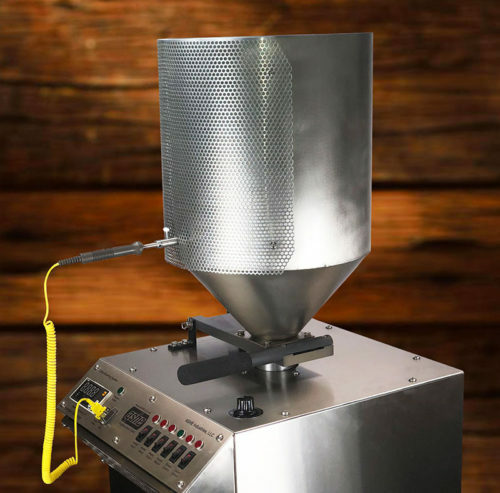 The swivel hood facilitates loading/unloading and sampling. 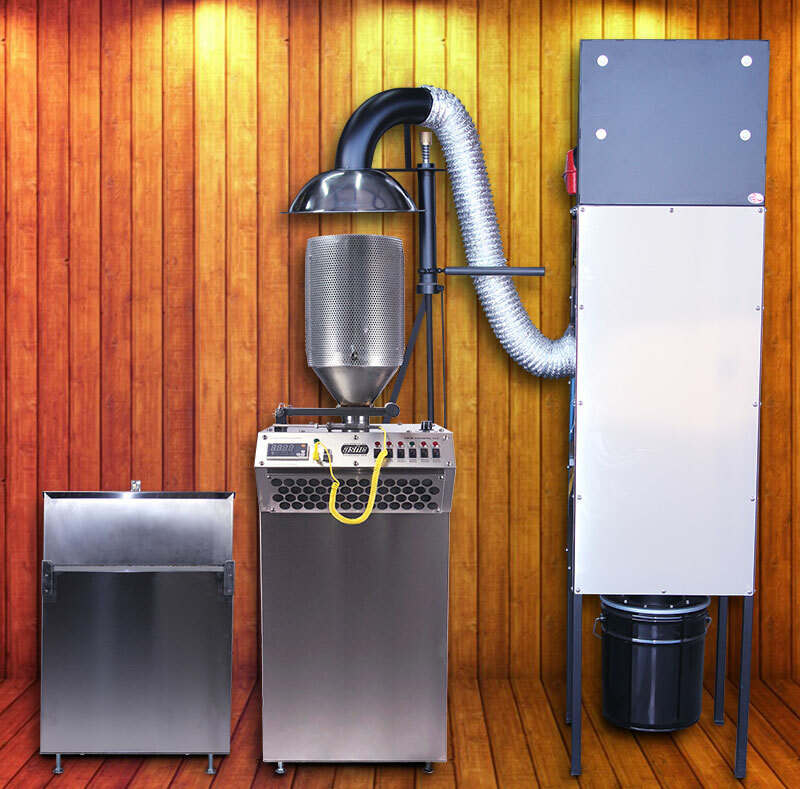 Being close to the top of the roaster it does not require a large (noisy) blower to adequately collect and remove the chaff. 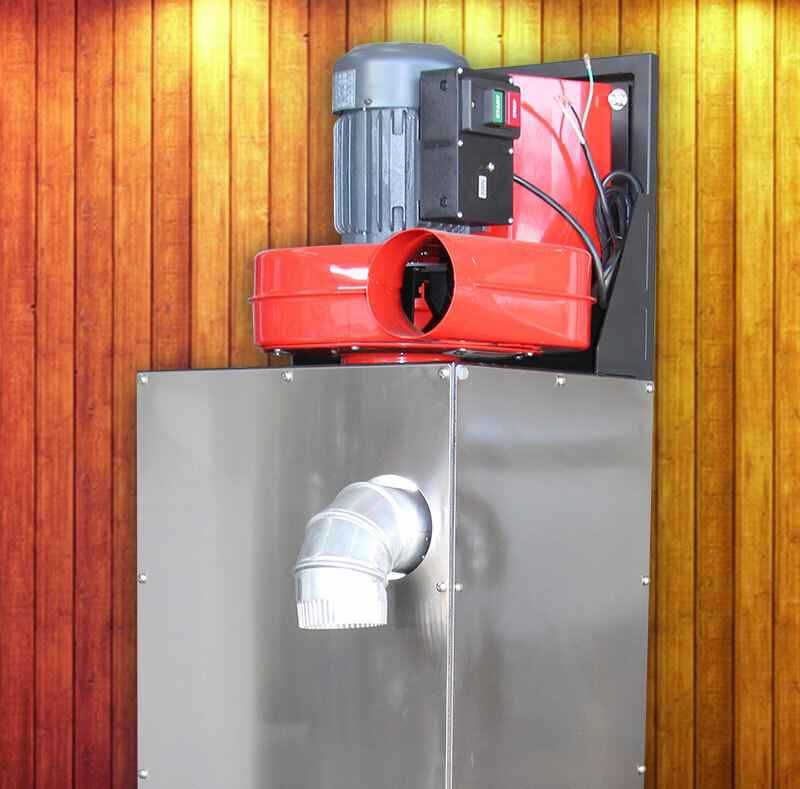 The whole cyclone/blower combination can be housed separately in another room or outside, covered, with suitable nonrestrictive ducting. 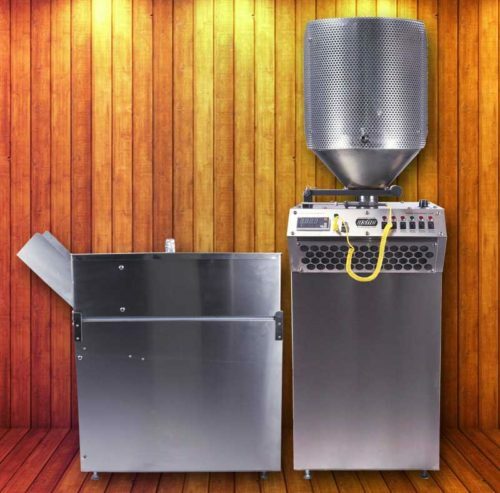 If the customer wishes to construct their own chaff collection system ASHE can supply just the swing hood assembly which bolts to the existing roaster plate. 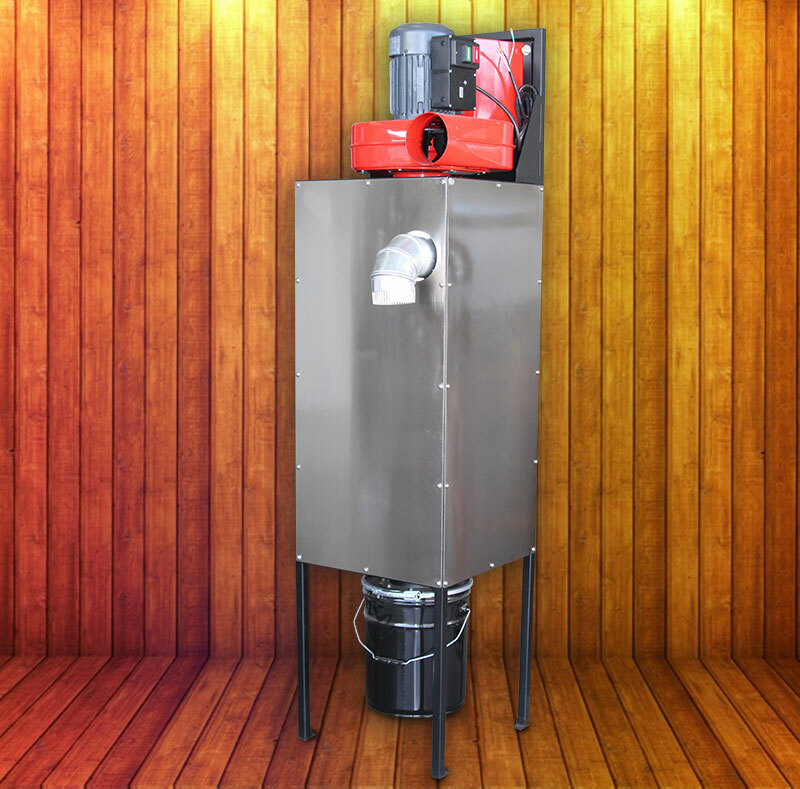 The price of this unit is $1,795 plus tax and shipping.